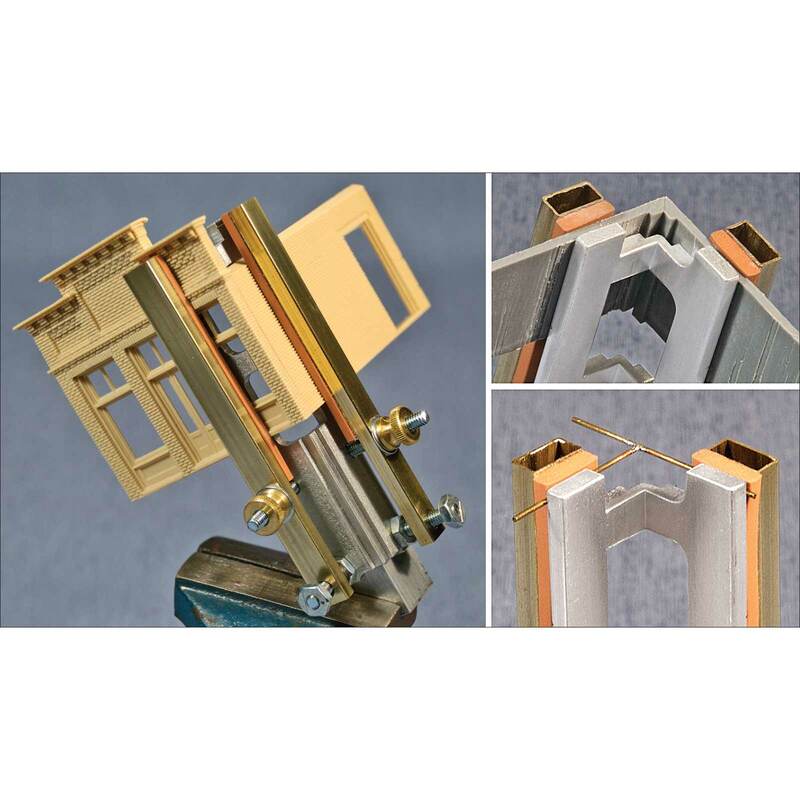 Long Combo Right Clamp has a contoured aluminum main frame with built-in access notches to facilitate gluing and soldering, and grooves for holding metal shapes securely. 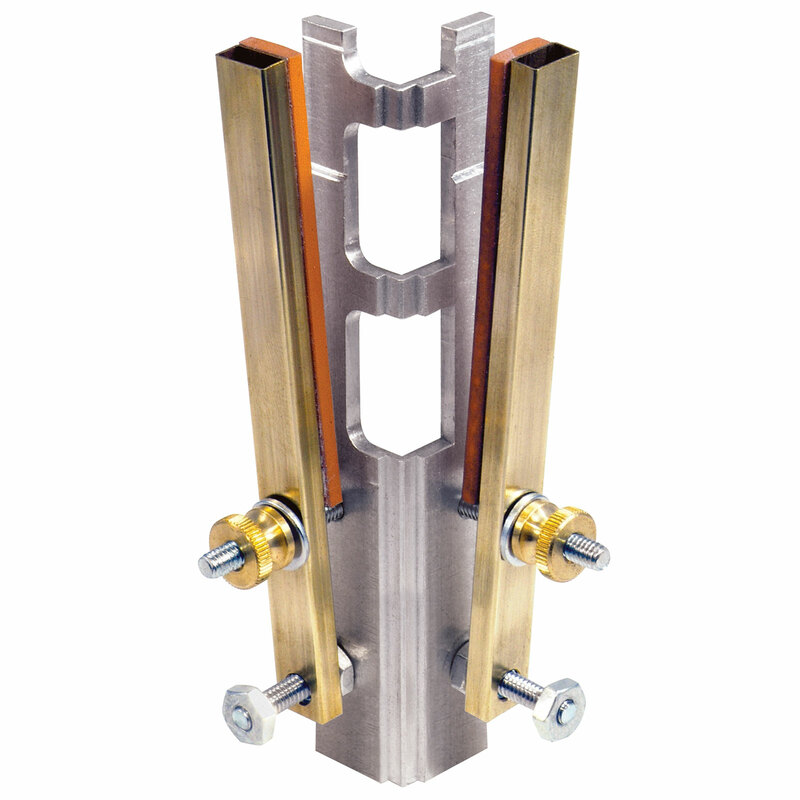 Features an extended base for use in a vise. Overall length: 4-7/8". 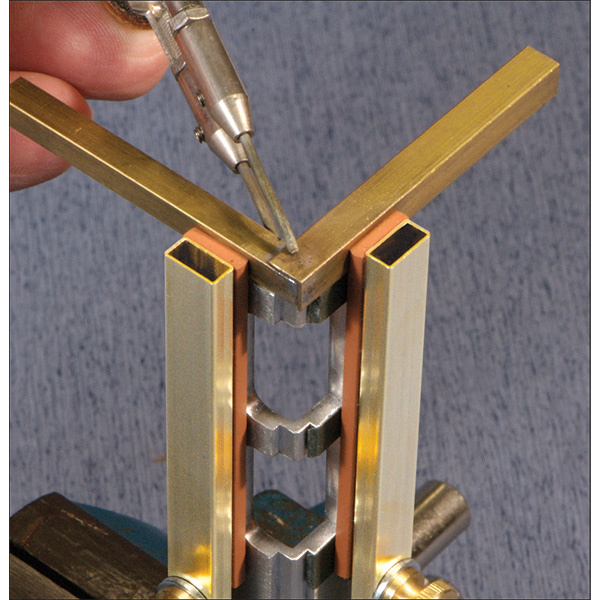 Clamping surface: 2-3/4" long x 3/8" wide (2 places). Jaws open 3/8".